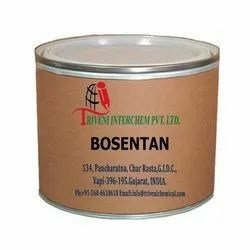 Providing you the best range of bosentan with effective & timely delivery. Bosentan Monohydrate (157212-55-0) is Solid. it is also known as it is use in pulmonary arterial hypertension, pulmonary hypertension, scleroderma and Antihypertensive Industry. Storage: Keep container tightly closed. Keep container in a cool, well-ventilated area. Looking for Pulmonary Arterial Hypertension API ?